At Great Missenden School, we aim to promote high standards of language and literacy by equipping pupils with a strong command of the spoken and written word, and to develop their love of literature through widespread reading for enjoyment. We link English through our Creative Curriculum to give our students the best knowledge and understanding on which to build language and literary skills, promoting Speaking and Listening, Writing and Reading skills across English and the wider curriculum. What does English look like at Great Missenden? become competent in the arts of speaking and listening, using drama to further understanding and literary depth. Miss Bassett was fortunate to meet and chat with author Anthony Horowitz yesterday at Dr Challoner’s girls’ school. 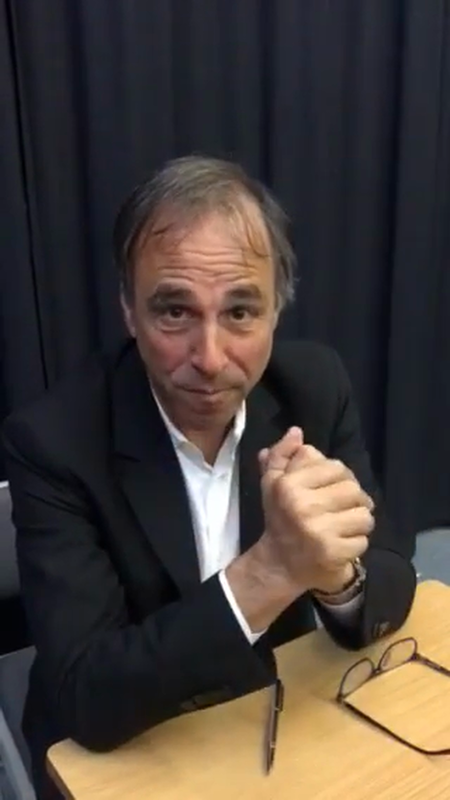 Mr Horowitz recorded a special message to us at Great Missenden School! During English lessons, Year 3 performed a 'Whoosh' to understand the story of Alice in Wonderland. They acted it out, but did not know which part they would play. Mr Sperring would choose the children by tapping them on the head, who would then have to act as characters such as Alice, the Cheshire Cat, the Mad Hatter and the Queen of Hearts. They also had to act out such things as trees, gardens, bottles and flamingos!